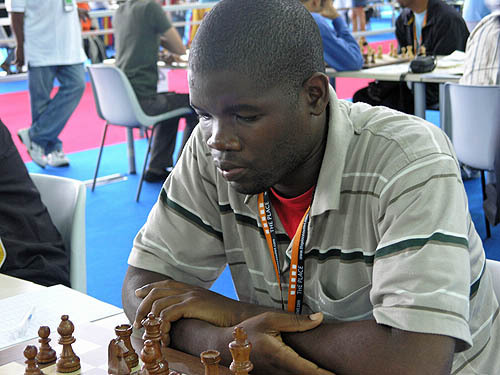 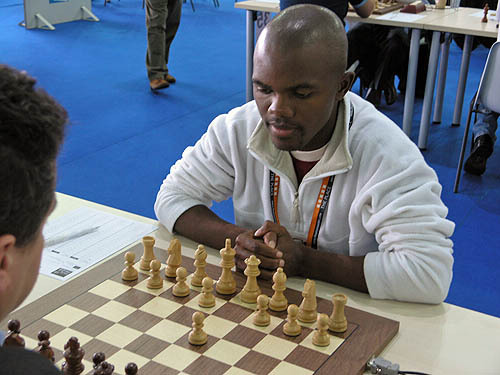 Ignatius Njobvu, national champion of Botswana. 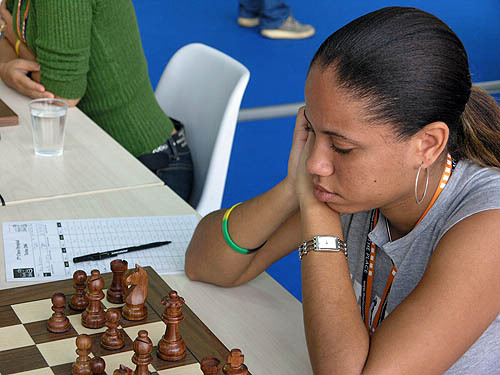 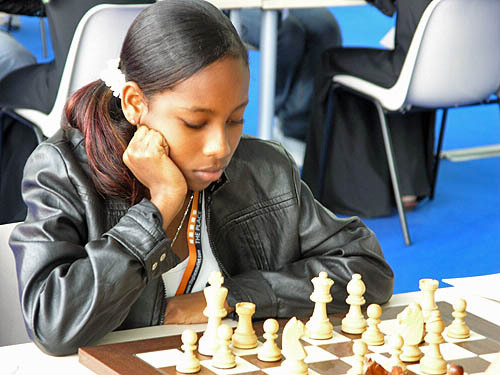 Tshepiso Lopang, national women's champion of Botswana. 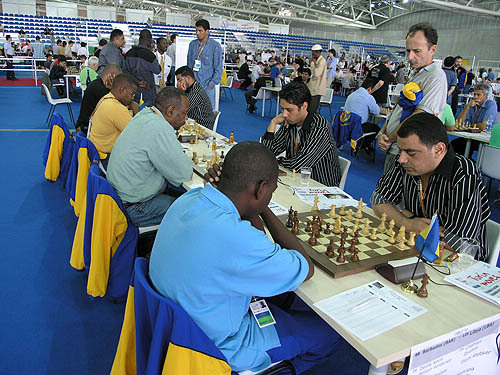 Namibian teams on the rest day. 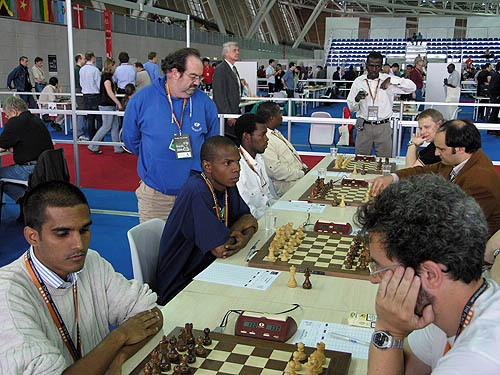 Charles Eichab, Max Nitzborn and Leonhard Müller. 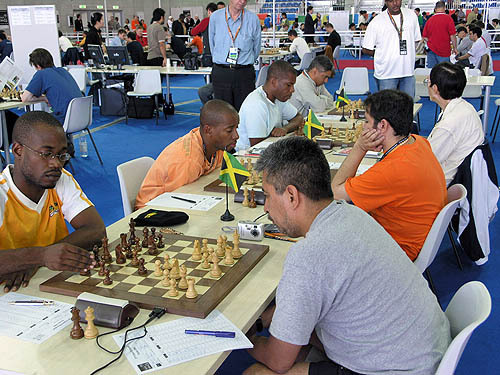 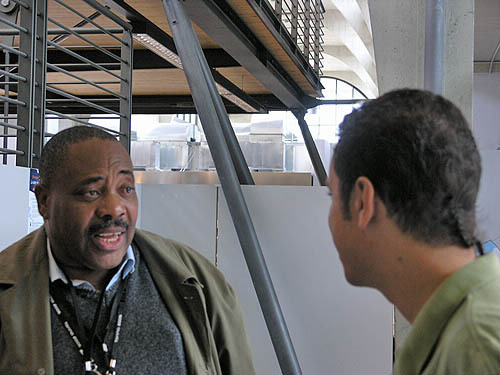 Zambia's Lewis Ncube (left) conversing with Allan Herbert of Barbados. 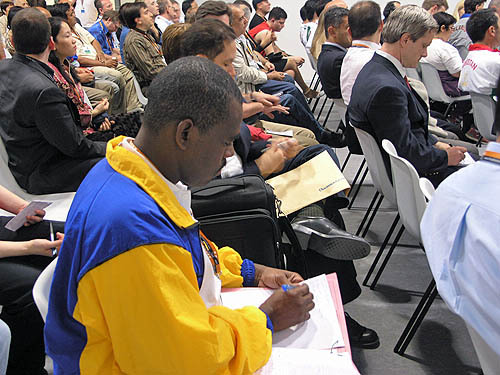 Peter Dawson at captain's meeting before the 1st round. 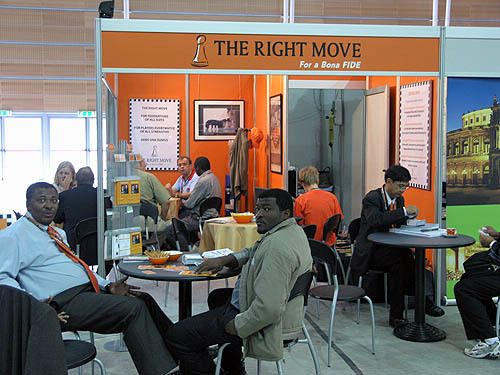 Jackie Ngubeni and Charles Eichab at 'The Right Move' booth. 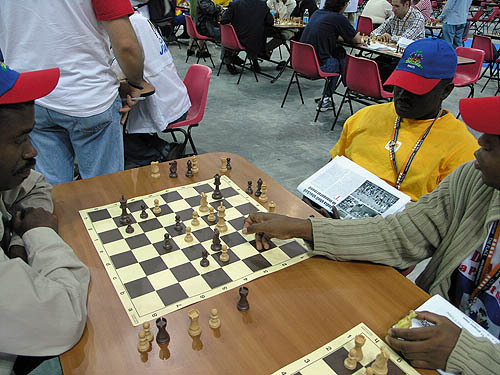 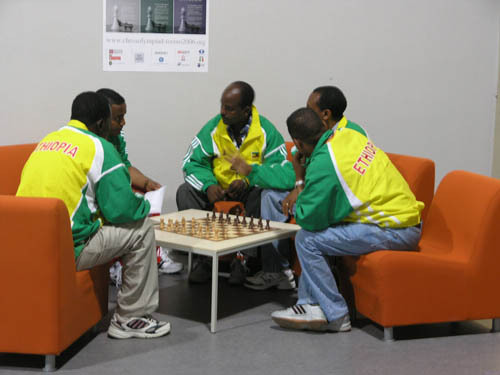 Ethiopian strategy session prior to round #1. 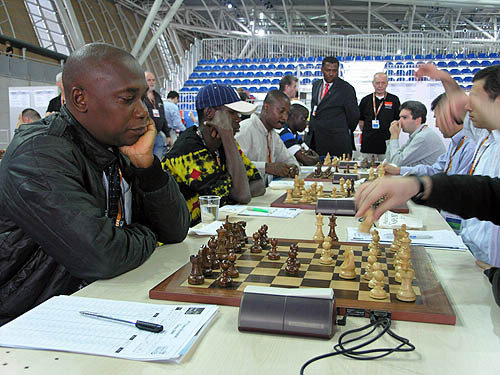 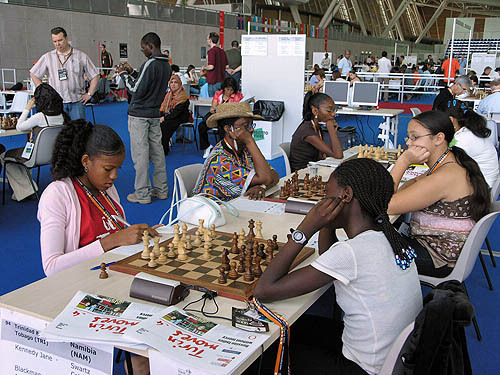 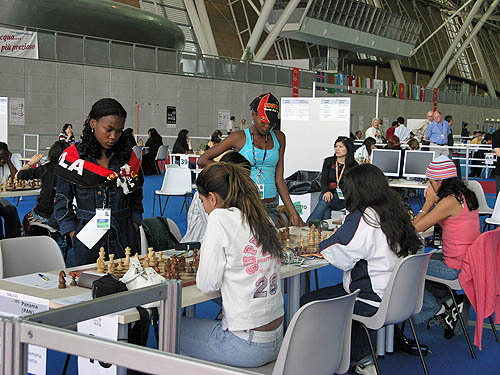 Nigeria takes of eventual champions Armenia. 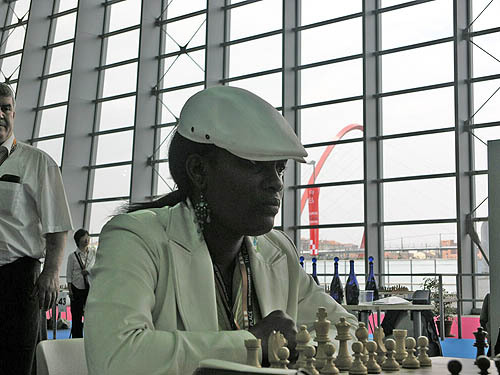 Jackie Ngubeni of South Africa watches. 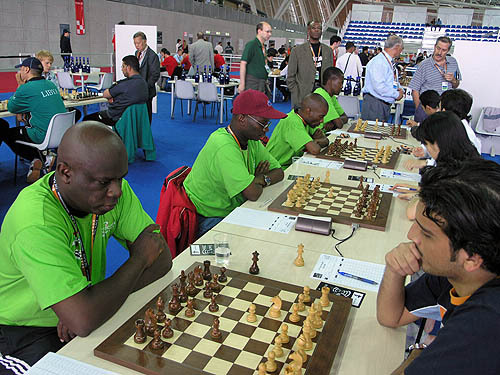 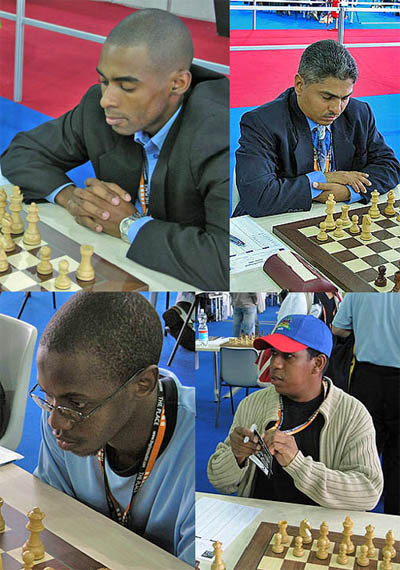 Nigeria's from left to right are: Fola Akintola, Bunmi Olape, Odion Aikhoje and Ade Adebayo.